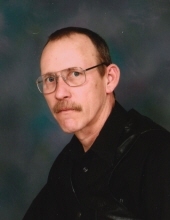 Herman Dean Elam, 59, of Crab Orchard, passed away Saturday, September 15th, at his residence. He was the husband of Lisa Lynn (Hulett) Elam whom he married on April 28, 1989. Herman was born in Cincinnati, Ohio on November 15, 1958. He was a son of Eugene Curtis Elam and the late Theresa Beulah (Roden) Cress. He worked as a Carpenter for Ken Isaac's Interiors. A Memorial Service Will be held on Saturday, September 29, 2018 at 11:00 AM at The Lancaster Christian Church. To send flowers or a remembrance gift to the family of Herman Dean Elam, please visit our Tribute Store. "Email Address" would like to share the life celebration of Herman Dean Elam. Click on the "link" to go to share a favorite memory or leave a condolence message for the family.